The mixture of utmost attention and expertise. Businesses are the lifeline of any economy. Without it, financial markets across the globe will crash and people would not have the means to meet their monetary needs. The result of these economic movements is a smaller but more complex financial world. As institutions and people from different countries come together to do business, there arises a need for competent and professional financial translation services. This field requires the expertise of a translator, who should be accurate and thorough, as fiscal statements and documents hold crucial and sensitive information. All text and details should be properly adapted to give foreign clients the assurance that you are well-qualified and competent as a business partner, a professional, or an investment proposition. 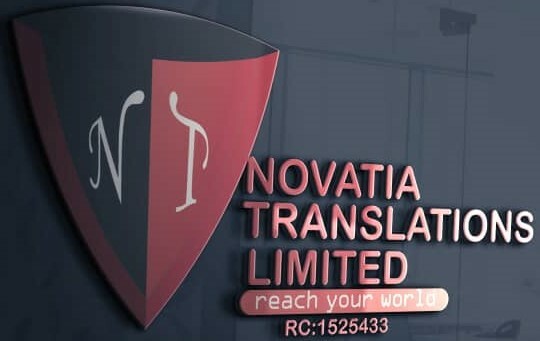 Here at Novatia, we have highly qualified and experienced translators who can provide consistent, precise, and on-time translation services. Our full-service company is equipped with the right personnel to provide you with accurate and faithful translation of fiscal documents and statements. We implement a structured process for services of this nature, to make sure that all vital information is protected and secured. Our team will sit down with you to discuss the specifics of the project, including the reasonable quote for the service we will provide. We have a project manager who will be liaising with you at this stage, in order to determine all the requirements for translating your financial statements and other relevant documents. Upon concluding the initial meeting, we will give you a projected timeline for the completion and delivery of all tasks, and we will clarify and address any questions you may have. With an in-depth understanding of the subject matter, a certified linguist from our team will perform the translation of financial statements. The entire process is supervised by a quality manager to make sure standards for quality and accuracy are applied all throughout. Following that, a native speaker of the language will edit and proofread the translated text to pinpoint and correct any instance of inaccuracy, error, or miscommunication. With a streamlined and comprehensive process in place, our team is able to deliver accurately translated text that meets the requirements of our diverse clientele.